This is a summary of information provided by Jennifer Labit of Cotton Babies on the Diaper Investment and Aid to Promote Economic Recovery (“DIAPER”) Act (H.R. 3134), sponsored by Congresswoman Rosa DeLauro (D-CT). because they can’t afford diapers. Did you know that some parents can’t work, because they can’t afford diapers? Really. There is government support to help the working poor pay for childcare, but childcare providers require that parents provide clean diapers and not everyone can afford them. Can’t afford clean diapers? Really? Are you kidding? No, I’m not. According to a study by Huggies recently, 1 in 3 families struggles to afford diapers. So follow me here. Some people receive childcare vouchers so they can afford childcare – not all jobs pay enough to afford childcare. It was a consideration that I had to make myself. I do not have local family, and therefore could only accept jobs that paid enough for pay for childcare at a daycare, or a sitter for the time I would be out of the house (working AND commuting time). 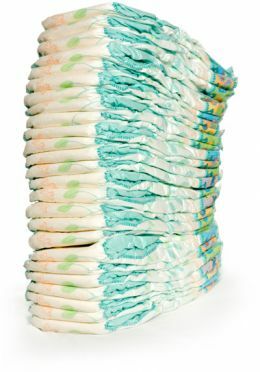 In addition to the costs of childcare, you also have to provide clean diapers; diapers are expensive. A New York news station did a report in March 2011 about parents not being able to afford diapers. 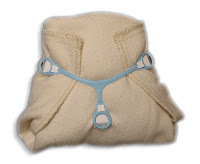 Currently there is only one assistance program that allows for its money to be used to provide diapers, and it is provided to the most absolutely destitute and is usually used for rent and utilities. Neither SNAP (foodstamps) nor WIC will permit it’s money to be used on diapers or diapering supplies. The DIAPER Act is a definitional change and is NOT an appropriations bill. It allows already allocated Child Care Development Funds to be used for diapering and diapering supplies. The organization Help a Mother Out has started a petition that you can sign to support this definitional change. This is a jobs bill. Passage of this bill will allow more parents to work. It will increase the use of diapers, which will increase their manufacture and sales. I can just hear you yelling now “But Alicia, why are you promoting more diapers?” This is also a GREEN bill, because it specifically allows for cloth diapers to be included in this program. A forward thinking daycare center could work with a environmentally friendly diaper service to provide clean, healthy, cloth diapers for the children in its care. The daycare and diaper service could offer this option to all the parents for a fee, and have it subsidized for the families on childcare vouchers with this change. Imagine the possibilities. Jennifer Labit can. The full text of the bill can be read in the blog post by Jennifer Labit that inspired this post.